The White House Gift Shop, Est. 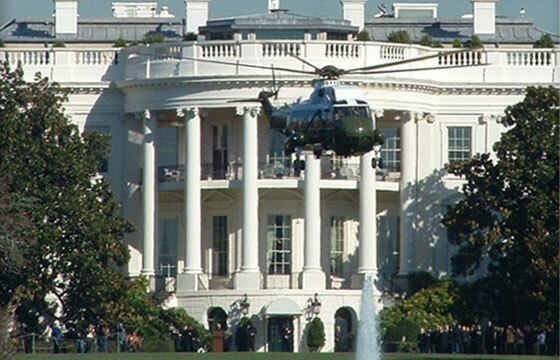 1946 by Permanent Order of President H. S. Truman is Your Source for 70 years of Authentic White House, Presidential, Diplomatic, and Air Force One Gifts! Serving For Over 70 Years! Shop our wide selection of White House, Presidential, Diplomatic, and United States Military gifts including the globally prized White House Gift Shop annual Holidays and Christmas Ornament Collection, and The National Architectural Collection, The White House Easter Gold & Glass Heirloom Egg Collection to commemorate the Easter Egg Roll and Hunt, and the Rooms of the White House Series that now includes eight White House Rooms in 3D. Also see our Office Accessories, Glassware, Presidential Cufflinks, Hats, Apparel and much more! Whether you’re looking for a classic piece for your office or movie set such as one of our presidential sculptures, a unique gift, collectible, or souvenir for the history buff in your life, the White House Gift Shop, Est. 1946 by permanent order of President Harry S. Truman is the "only original authorized" White House Gift Shop serving America, & global friends of America for over 70 years! "My first experience with the White House Gift Shop was in 1957 when my grandmother, who worked at the Pentagon, took me and my two sisters shopping on her day off. In 1994 a friend showed me her White House Gift Shop Christmas Ornament Collection and gave me a booklet so I could start my own collection. I find these ornaments are the ideal gift for my special friends and family all over the world." "Your remarkable customer service stands out. You have made our acquisition experience most pleasant and simple, and we look forward to continue working with you in the future." "I have been buying souvenirs and momentos ever since I worked at the White House just over two decades ago. Without fail, every recipient has been surprised and delighted. If you want to make a statement that is guaranteed to be both memorable and treasured for years to come, you cannot top the White House Gift Shop to fulfill your order. Even celebrities love their White House swag!" 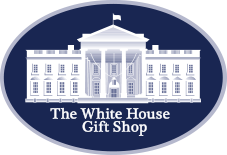 "The White House Gift Shop is my source for unique gifts for birthdays, graduation, and special event memories. Their fast shipping makes it easy for me to send gifts anywhere, anytime! Among my favorites are the colorful glass White House Easter eggs. These colorful glass eggs let the light shine through and commemorate this famous event as well as help injured law enforcement officers. Keep up the excellent service to us across the country! Your benevolence is appreciated. Blessings." 2018 White House Historical Association Ornament: President Harry S. Truman, South Balcony and Blue Room. Made in USA!